Excellent support. Better than the expensive mattresses out there. Recommending to anyone. Give your mattress a sturdy and durable foundation with this easy-to-assemble Priage mattress foundation. 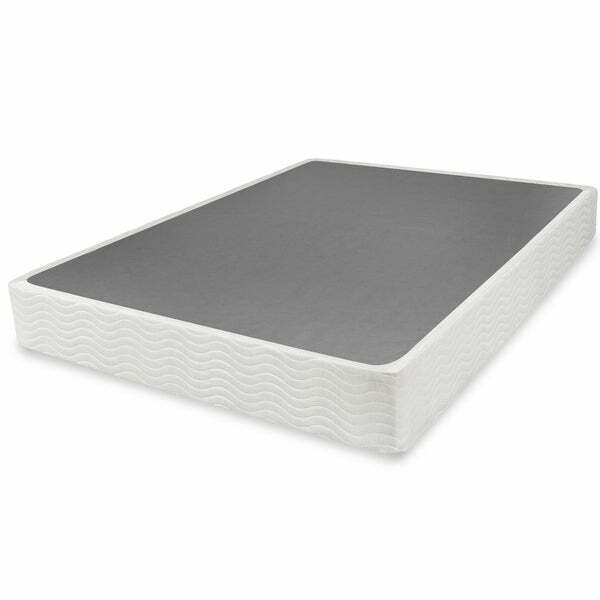 Constructed with a sturdy metal frame with an attractive fabric cover, this box spring foundation will provide a strong, supportive layer that will extend the life of your mattress. Dimensions 74.0 In. X 38.0 In. X 9.0 In. 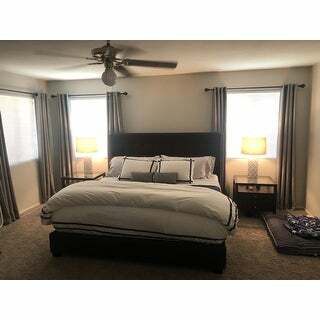 This mattress foundation took about an episode of Housewives of Orange County to put together for a 48 year old woman. You need a large space to spread out all of the parts and be organized, but once you think of it as a puzzle, it will go quickly. The instructions seem to have been written by my crazy uncle after he was two sheets and one mattress to the wind. If you are a self-starter and a puzzle master, this will not make you sweat. The cover is tight to put on at the end, but I found that leaning the frame upright against my couch and pulling it on like size 5 jeans helped to get it zipped with no problem. Oh, you want to know how the foundation feels? That is the good part, no noise, no movement, no sagging. This is bridge construction underneath you. It is 100 times better than a wood-constructed mattress box spring. Hope this helps! Love it. Mistakenly ordered the 9-inch when I needed the 7-inch. Now I feel like the princess and the pea, but it's sturdy and easy to assemble, and stable. It's a great foundation, and I'll keep it for the guest room. Off to get the 7-inch, now. I was very surprised with the box spring. Easy to do assemble and sturdy. The only thing that I wasn't expecting was the height of it. My fault though... 9 inches didn't seem that tall but with the mattress on top it is now a very high bed. If able I would've order a 7 inch or shorter. I purchased this box spring to go under a ten inch gel top foam mattress. I am very happy with the overall height. Although the box I about an inch and a half shorter than my mattress. Easy but time consuming to assemble. The box spring looks exactly like the pictures. When I first read the instructions it was extremely confusing and I did not understand why all the reviews were saying its easy to put together. However, after going over the instructions for a few minutes and understanding their number system, the box spring became easier to assemble. If you understand the instructions from the beginning, then it should take about 30 minutes. If not then about an hour. The box spring itself is REALLY STURDY. It does not creak or move any it added a good amount of inches to my mattress. I was really happy about that because my mattress is only 10 inches and this box spring made my bed sit up high. I don't have any other complaints. I would buy it, its nice. It weighs about 40 pounds in case any one was wondering. It's not to heavy. This box spring was easy to assemble. 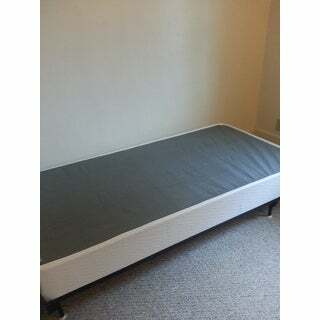 It is also very sturdy as It supports our 14 inch king size mattress well. We are very happy with our purchase. This mattress foundation gives amazing support! I have replaced too many wooden-frame box springs and was looking for something more durable! I tried this after reading the reviews and I am not disappointed! This offers so much support, it makes the mattress feel new again! I'm now planning to replace all my traditional box springs with this! As a side note, the 9-inch makes the bed noticeably taller. You may want to consider a 7-inch if you don't want that effect. Easy assembly. Works well. No complaints. My husband put this together inside of 30 minutes. We're using this with a low-profile memory foam mattress and we love the combination. We've been sleeping soundly on it for the past couple of weeks - no squeaks, no sagging, holds up to rigorous "exercise." I would recommend this to anyone looking for an affordable box spring. Box Spring in a Box !! Who knew !! A bed in a box. This is awesome and easy to assemble!! This mattress came in a 4" x 7" box and apparently has to be built! Whoever heard of "building" a box spring mattress! 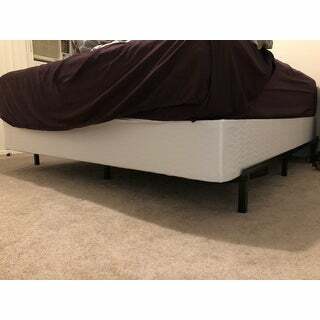 I just upgraded from my full size mattress to a king and was looking for a boxspring that was not split in two, like most are, and was so happy to find this product! One of my worries was having such a huge item get delivered to my small apartment, since Overstock ships so quick and it was scheduled to arrive before I even had my mattress, but this box spring comes in a slim (but tall) box and you assemble it your self - so it was out of the way until I was ready for it! It was super easy to assemble, all the tools and instructions were laid out so clearly. Most of all is great quality! No sounds when I get on my bed, it is sturdy. Would definitely recommend! Don't be worried about having to build it yourself you can 100% do it! I needed a boxspring for my king size foam mattress. After a bit of research, and despite some reviews ranting about how difficult it was to assemble, I bought TWO. Bottom line? This is a strong, high quality box spring. I am VERY PLEASED. A few tips on assembly. First - its EASY. The instructions are very clear and anyone can do it. You will need some space to layout the pieces - and once you do you'll have everything put together in about 30 minutes. Also, the cover is EASY to put on. If you have trouble it is because you are putting it on WRONG. The boxspring is not quite square - and has one longer side. Make sure you measure the cover to put the longer side on correctly and it will zip up with no effort. If you need a king size box spring - this is a VERY GOOD one for the price. 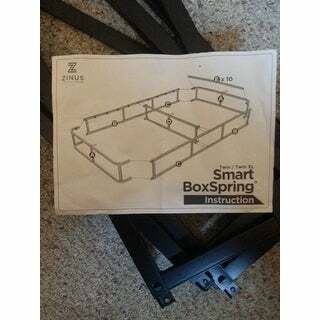 This is the second of these box springs I've purchased. Very sturdy, easy assembly, great price, and the convenience of having it delivered to my door vs. having to schlep down to the mega mart to buy one. Can't beat it!!! The title of this box spring is "easy-to-assemble" and it's totally true. My college-aged daughter put it together by herself in an effort to get her room set up. It was fast and easy enought for a novice carpenter to put together! Very sturdy and easy to put together. My son loves it to help his platform bed stay firm for his mattress. Super comfortable. Arrived quickly and overall very satisfied. My first Overstock purchase. 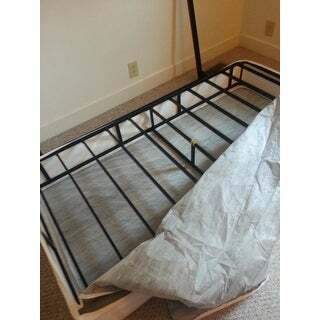 Assembly is quick and easy, allowed me to lower height of my bed, can be used in other beds that are inaccesible to a full size queen box spring and I would recommend it to my friends . My grandson loved the boxspring and the added support. "Are there holes where legs can be screwed on?" "Is this noisy? My husband and I are tossers and turners as well as dogs that move around throughout the night, does this creak or make any type of noise?" I toss and turn too it isn’t noisy at all! "What do you have to assemble on it"
The foundation itself needs to be assembled. It comes as pictured in the fourth image. Nothing to assemble. Comes as shown. "This may be a weird question, but once the box spring is put together can I be taken apart for moving purposes and then put back together again?" Yes, you can take it apart. I hope it helps. Sure can. I have been VERY happy with this purchase. No more sagging mattress, and am taking it apart to move Oct. 30th. yes. its easy to take apart. "Does it come with legs...or are they necessary?" the box spring does not come with legs. It's meant to sit on a bed frame. This is just the box spring, no legs. You will need a bed frame. "Is the spacing between the slats too wide for a foam mattress?" I do not have a foam mattress, but I can tell you the space between the horizontal bars is 6 inches. By this I mean as you lay the bars are every six inches. I do not think this would affect the mattress. But again, I do not have a foam mattress, it works well with my hybrid mattress. "How is this different from the smart box that is more expensive?"